Cool light laser therapy is an LED light treatment which uses both visible and invisible infrared light to illicit positive changes within the skin at the cellular level. This modality is effective in treating acne, rosacea, promotion of healing processes, and to combat the signs of aging. Cool laser light treatments are performed in conjunction with facials utilizing the Eminence Organic skin care line to ensure optimal results. 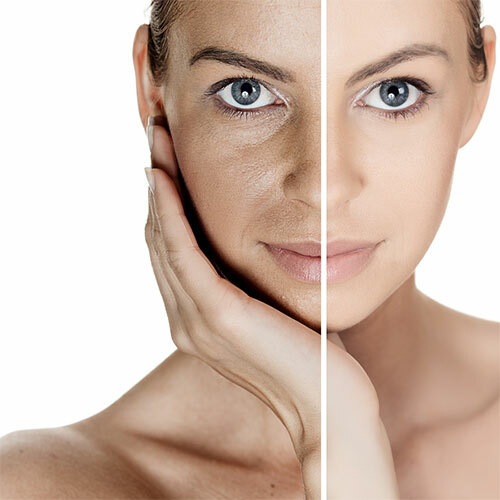 Want to learn more about the skin restoration services we offer? Click here to download our Skin Care Menu for a complete list of services and pricing. The purest of skin care on Earth, handmade organic and natural products made from real herbs, fruits, flowers and vegetables free of all harsh chemicals and parabens that feed and nourish the skin. The worlds first skin care created with Biodynamic ingredients, the next generation of Organics with greater stipulations on farming practices and purity.